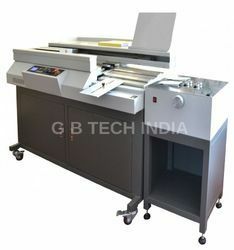 This machine is suitable for many kinds of needs that users deal with the papers. 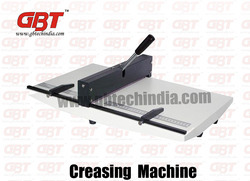 Creasing, slitting and perforating in one machine, can crease four lines as the spine and hinge lines at the same time. 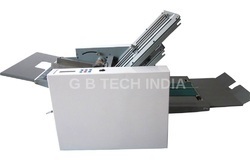 Cross fold Equipped with indentation structure,cross fold can be fold by indentation. 1. Imported infrared sensor switch, high separation precision, without double feeding. 9.Having a circuit overload protection, automatic power off when overload and shut down. 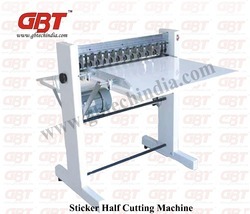 Electric Creasing & Perforating Machine 18"
Sticker half cutting and perforating machine 24"
Sticker Half Cutting Machine 24"
2. Touch the key then you can finish all the flow conveniently and quickly. 8. 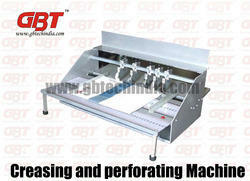 Clamping style,clamping time and clamping pressure can be adjusted conveniently. 9. 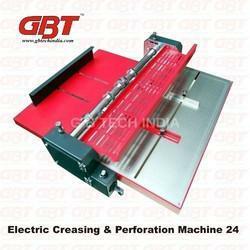 Adopt aluminium tank alloy to make sure the glue is not easy to go black.Double roller can guarantees the evenness of gluing and hard. Gloss Photo Paper Roll 24"